JNTUA B.Tech/B.Pharmacy 1st Year, 2-2, 3-2 Sem (R15,R13,R09) Supply Exam Notification Dec 2018, jntu anatapur supplementary examinations notification December 2018/January 2019. 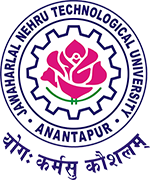 JNTU Anantapur University has announced B.Tech/B.Pharmacy I Year, II-II & III-II Semesters (R15, R13 & R09) Supple December/January 2018/2019 Exams Notification at university official website. Detailed timetables will be notified in the website www.jntua.ac.in under examinations. Lab, Project Work and Comprehensive Viva Voce Examinations will be conducted from 03.01.2019 to 09.01.2019. Students who are writing substitute subjects and additional subjects shall be registered manually with centre being the parent college only. Tell me the dates of 1_2supply r15 2018 jntua..